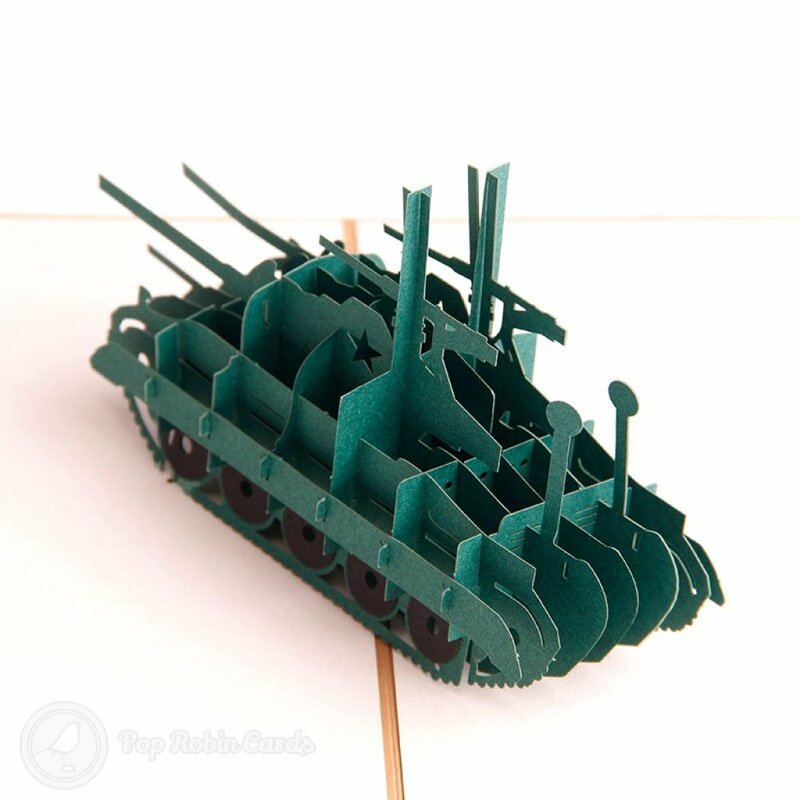 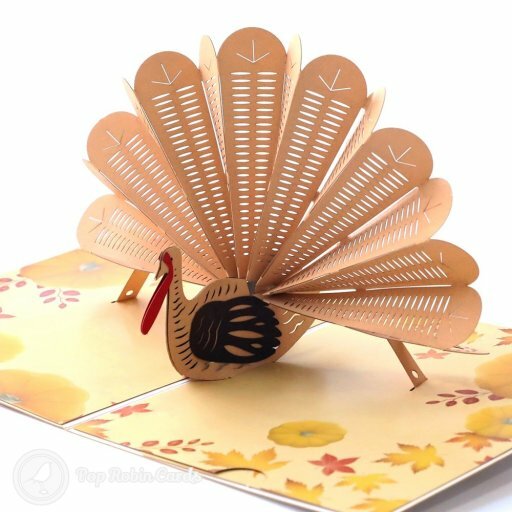 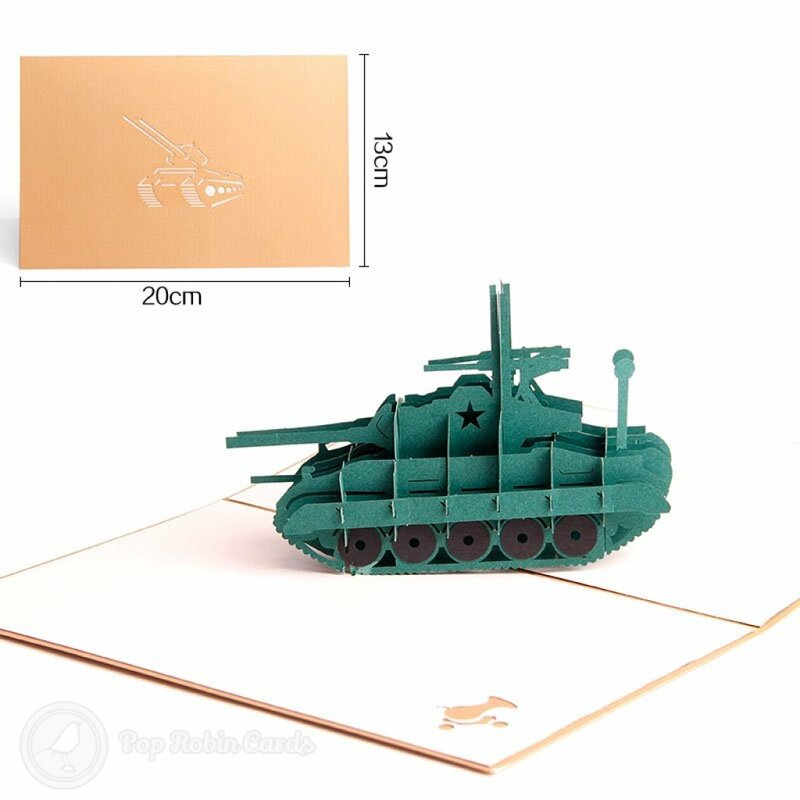 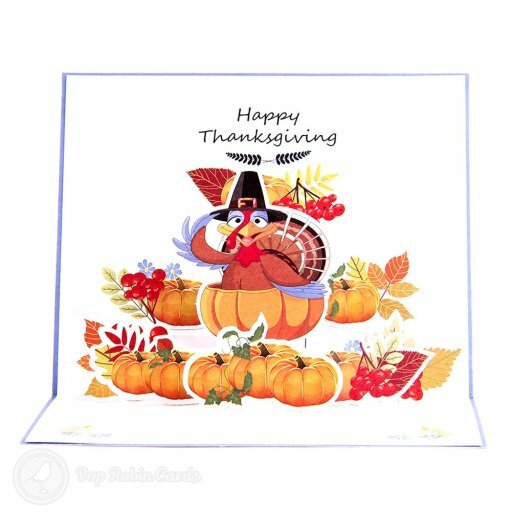 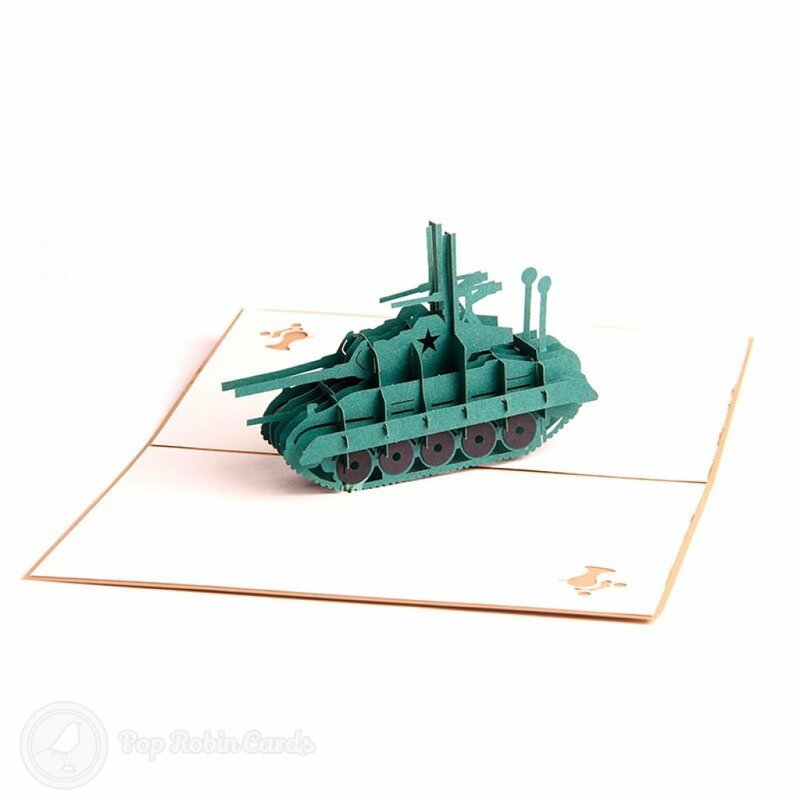 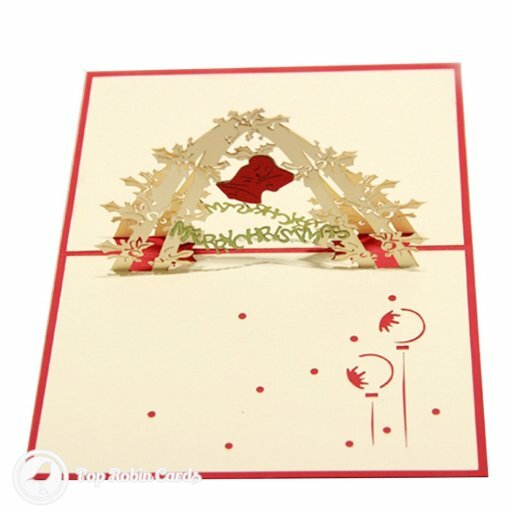 This amusing greetings card is great fun with its 3D pop-up tank design in army green colour. 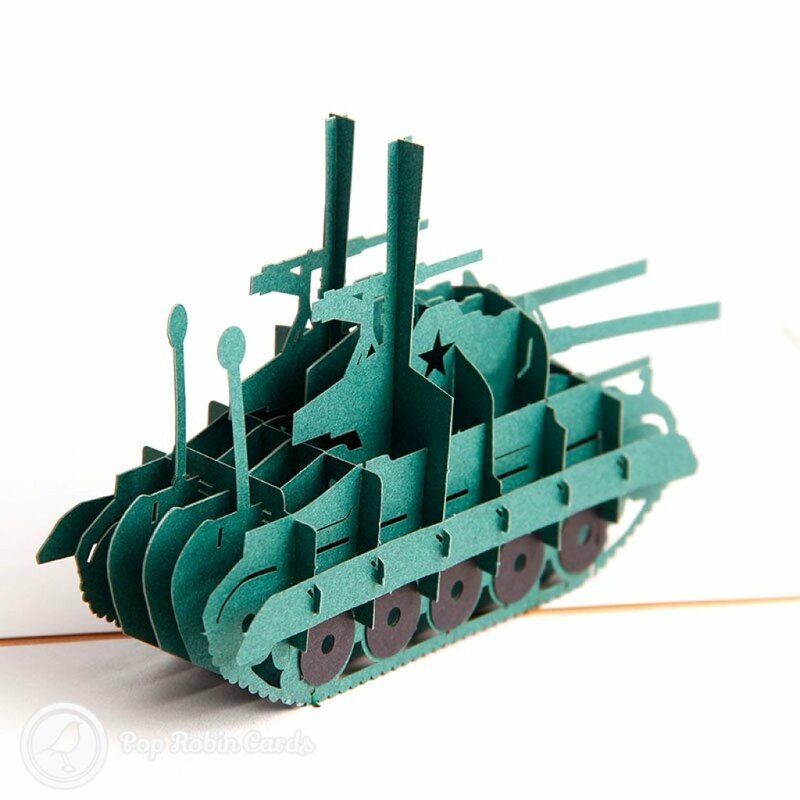 Complete with a turret, cannon and tracks, this card is sure to please any military enthusiast. 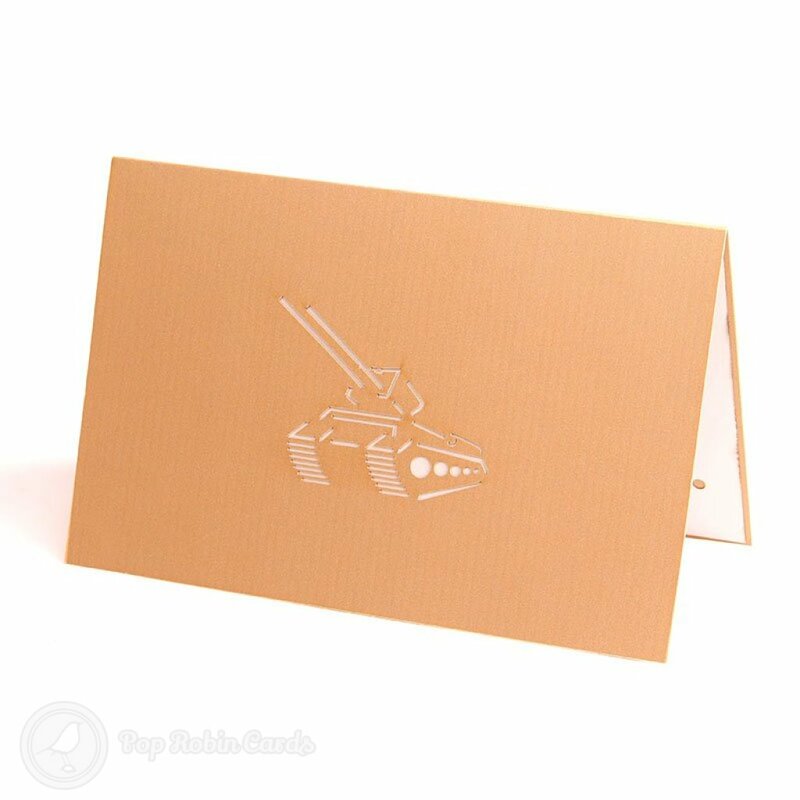 The metallic gold cover also depicts a tank in a stencil design.